For some people, travelling is only about finding new spots for Instagram or Facebook posts. However, travelling will only make a difference when you get new adventures or experiences. Cycling in Ubud can be an idea to be considered. Popularly known as the ‘Town of the Artists’, Ubud is one such place on this island offering countless beautiful places waiting to be explored. 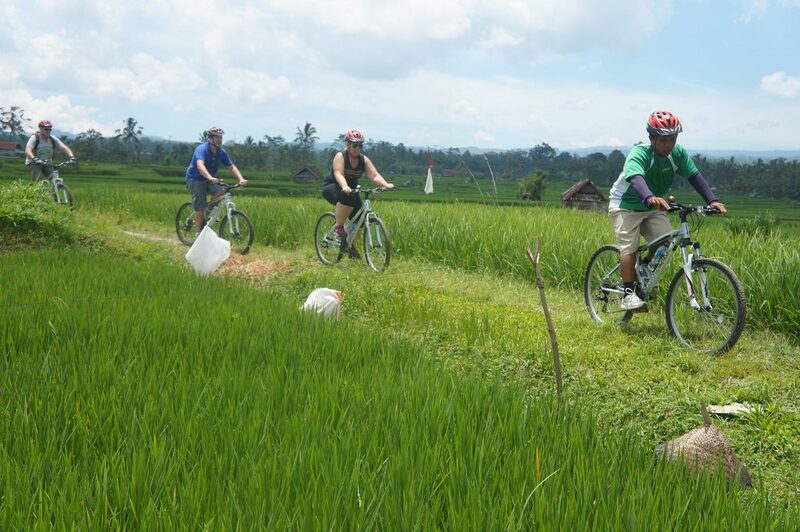 Cycling through the rice fields and deep forest offers an opportunity not just to enjoy the beautiful scenery but also the chance to get to know more about the local daily life and experience an enduring tale of the traditional Balinese hospitality. GREENBIKE Cycling is one of the Ubud-based cycling operators who are keen to do something more for nature and the people of the island. Run by a team with over 13 years experience in the field, they strive to give their best on every trip to make this cycling activity worth doing. Syncing with their motto ‘Work With Love’, they believe that small steps matter and that they can make a difference in working together to achieve a perfect harmony in life. 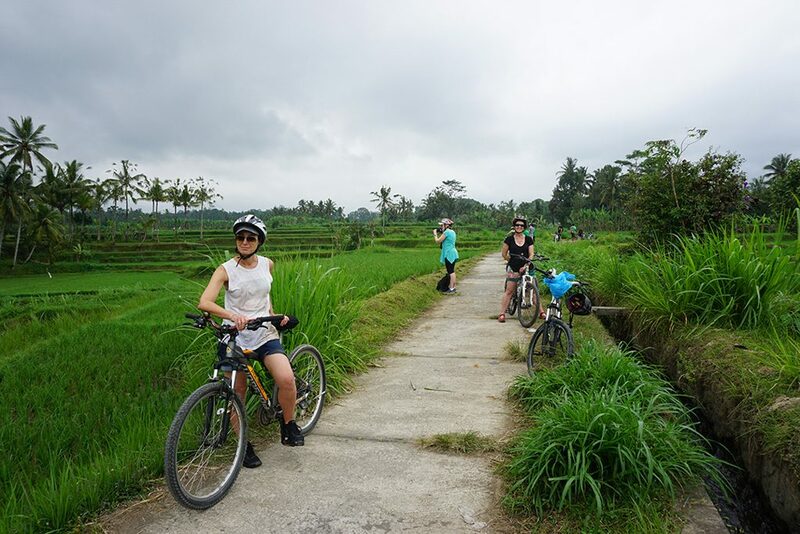 With GREENBIKE Cycling, you can discover the lush and green landscapes of Ubud while escaping your city life for a day. 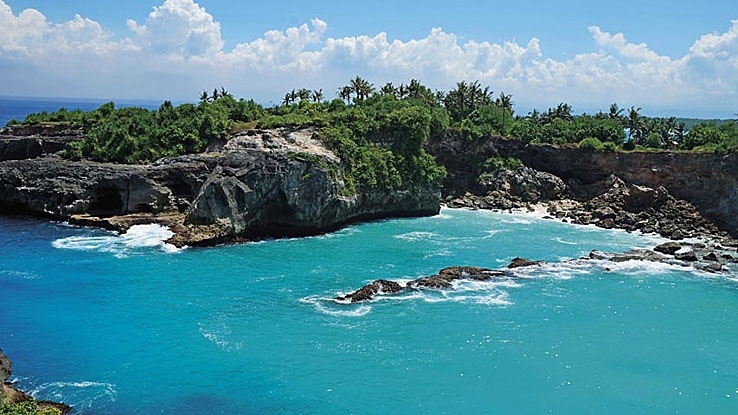 Breath-taking views and hidden gems will feast your eyes from the beginning to the very end. 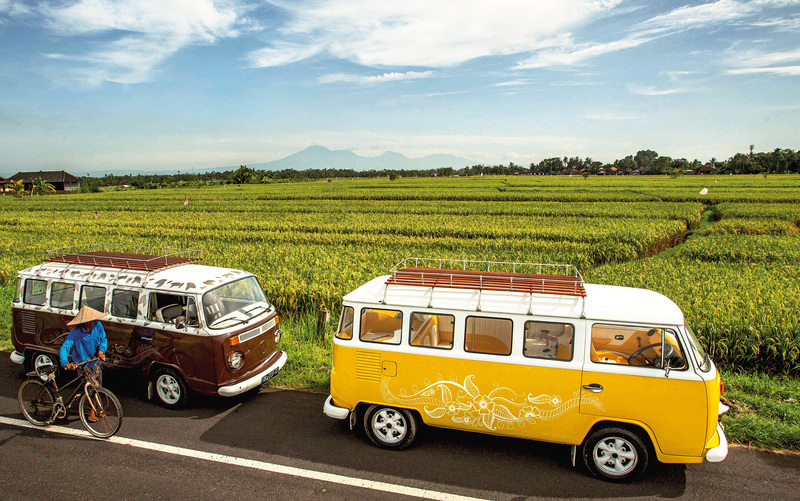 They also set up all the trips to show and experience the real Bali while at the same time learn its unique culture. By all means stop at any time that you wish when you see something interesting along the way, as well as be interactive to get your hands on whatever the local people are doing. Choose either cycling on the normal mountain bike or electric bike. For the normal bike tour, they do stops at Tegallalang rice terrace, Kintamani with its beautiful view of Batur volcano, a local Balinese house, village temples and rice fields. This 23-kilometre trip is mostly downhill and with the flexibility of stopping. Before the bike ride, your trip will start with a coffee break in Kayuamba Village where you can see what the local people grow on the highland. Since they couldn’t grow rice in this village, so you can expect to see cocoa, coffee, vanilla, cinnamon and clove. Of course, you can taste some cups of coffee or teas. After a coffee break, Kintamani is the starting point where you can view Mount Batur and its crater lake from a perfect distance. Before riding downhill, the guide will briefly explain the safety standard and some hand signals that will be used during the ride. The next stop is a Balinese house. Here, you can explore the entire house to understand how the locals live, including how they cook, sleep and what they plant in the garden. The guide will also demonstrate how to make a simple offering of ‘Canang’ that is used every day by the locals in their temple. The second stop is at the front of a village temple as you will be given a detailed explanation about the layout and history of the temple. A rice field visit is the last stop of the day. Not only can you learn about the ‘Subak’ irrigation system, but you can also trek around the rice field to feel the ambience. For a more personal experience, they keep this trekking activity in one group of 6 people maximum. You can either opt for an off-road track, rice field track or jungle track for more of a challenge. An Indonesian buffet lunch at Greenkubu Cafe marks the end of the one-day trip. Located in the middle of a rice field with colourful umbrellas and bean bags, this restaurant is a good place to relax and refresh your mind after a long day trip. Taking a different route to what the mountain bike tour offers, the electric bike tour covers only the Tegallalang area. 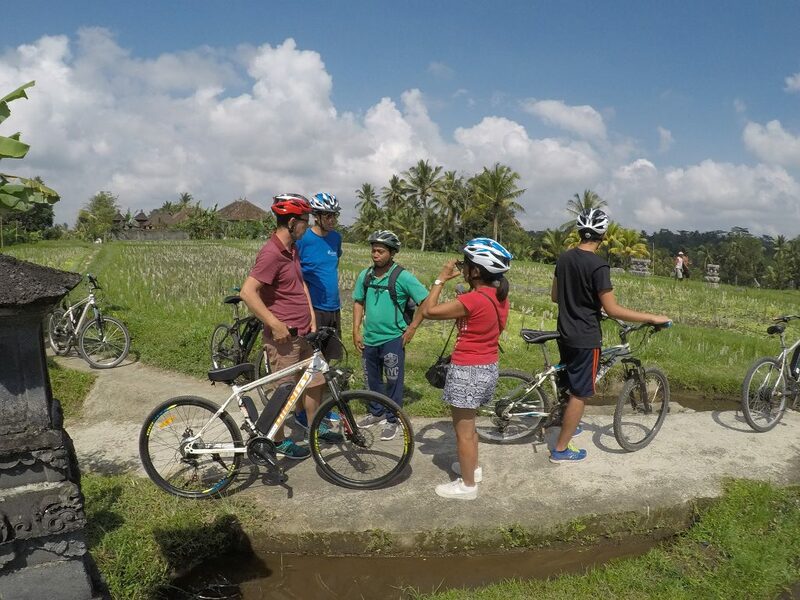 Located within a short distance from the central Ubud, their electric bike tour will take you to explore Tegallalang Village and its unique culture as the guide will give a deep and thorough explanation of the local culture. For those who are not familiar with an electric bike, one will get a quick tutorial of how to use the accelerator, brake and gears. Similar to the previous trip, the first two stops are a Balinese house visit and a local village temple. Next stop is at the Tegallalang rice terraces. Featuring the traditional Balinese cooperative irrigation system ‘Subak’, this place is one of the most gorgeous terraced landscapes in the Ubud region. Internationally well-known for its beautiful scenes of rice paddies, Tegallalang began to attract more crowds right after one of Julia Roberts’ movies ‘Eat Pray and Love’ was filmed here. So, don’t be surprised when you see tons of tourists taking photos around the area, as well as commercial art kiosks selling their goods. However, you can still embrace a quiet and peaceful surrounding in the early morning. The Tegallalang trekking activity with GREENBIKE Cycling is kept personal in one group of 6 people maximum and flexible for stops at any time wherever you find a good spot for taking pictures. 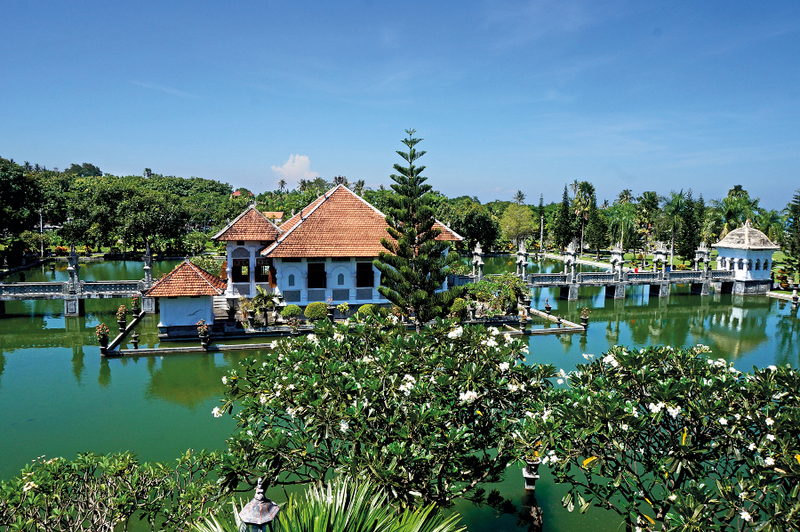 The cool and breezy area creates a perfect combination for your sightseeing. Please be advised that the rice terraces are very steep. Mind your step wherever you are going. The 17-kilometre half-day trip of a mix between rice field track and countryside road ends with a nice Indonesian buffet lunch at Greenkubu Café. After exercising on the bike trip, a break surrounded by rice field, singing birds and breezy air can cool you down. 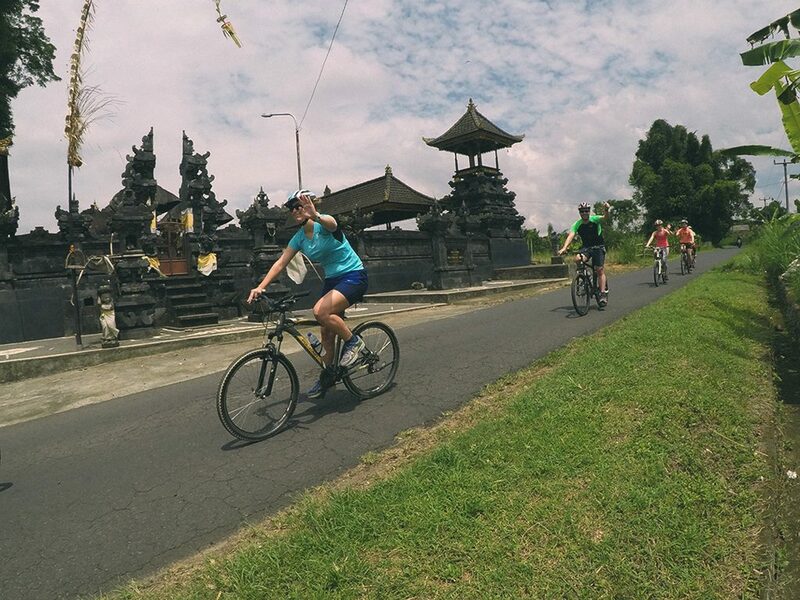 The best time for cycling in Ubud is the dry season. Cycling on rainy seasons is not recommended as the track is slippery and can be dangerous. You either choose to go for a peaceful sunrise cycling adventure early in the morning when the streets are still quiet and the air is still fresh, or get on your bicycle for an afternoon trip to capture some gorgeous sunset moments. Either way, be sure to stay hydrated at all times. Try the Balinese sweet coconut water to hydrate yourself.